This image shows a rope wound around a wooden crankshaft. 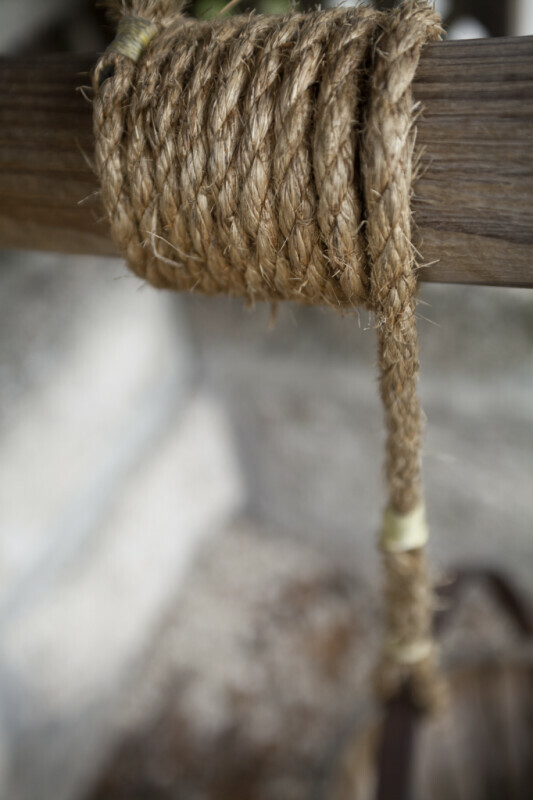 As the rope wound around the shaft, it raised a wooden bucket. The metal handle of the bucket can be seen in this photograph.